This unique CCTV accessory will allow you to use standard CAT-5 cable to run your analog security cameras with ease. 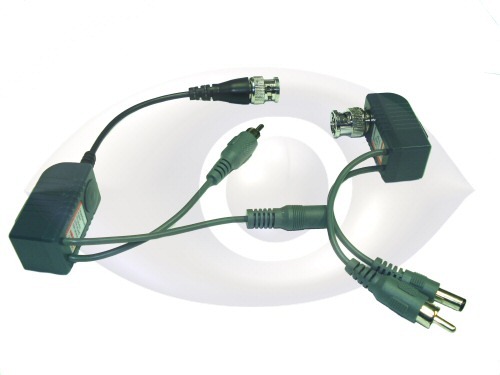 It adapts from a standard CAT-5 cable with RJ-45 termination to carry power, audio and video to and from the camera. These adpaters are designed to permit runs of up to 1000' for each security camera using CAT-5 cable. 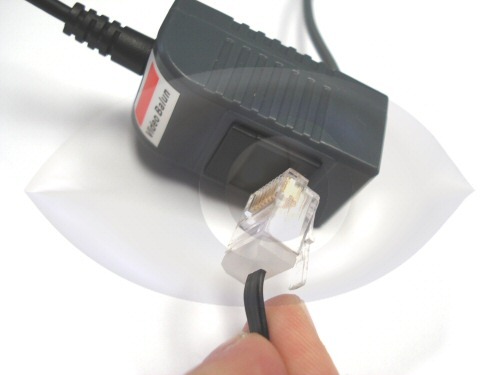 Although it will work with any CAT-5 cable, it is recommended to use shielded CAT-5e for camera runs that will be close to any sources of electro-magnetic interference (high voltage lines, flourescent lighting, motors, etc). 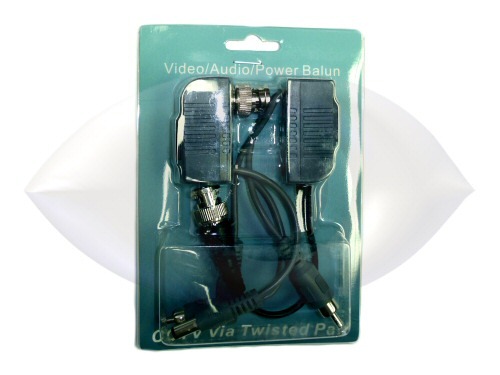 Each BALUN-VPA1 comes as a pair, one end connects to your DVR and power supply, while the other end connects to the camera video, microphone and power connections.